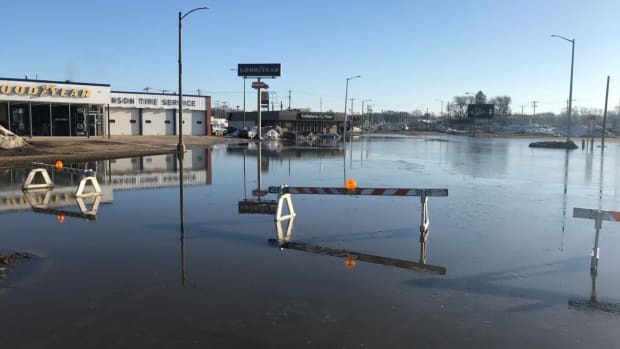 Way Over Our Heads podcast: Heavy rain in Minnesota this week, is winter finally over? Is Minnesota&apos;s winter goodbye finally ending? In this week&apos;s "Way Over Our Heads" podcast, climatologist Kenny Blumenfeld and Jim du Bois discuss last week&apos;s snowstorm, the prospects for midweek rains, deadly tornadoes in the Deep South, the kind of/sort of Severe Weather Awareness Week and the power of the mid-April Sun. Start to 3:30 - Recapping last week&apos;s April snowstorm. 3:31 to 5:54 - Hundreds of power poles snapped by blizzard winds. 5:55 to 10:24 - What made that snowstorm so tough to forecast. 10:25 to 12:13 - Nasty tornadoes, severe storms in the deep south. 12:14 to - Will heavy rain, storms be followed by snow this week? Yes, they&apos;re literally talking about snow chances after heavy rains move through southern Minnesota this week. It&apos;s nothing crazy, but Blumenfeld thinks we can finally guarantee no more snow within the next two weeks. Freezing rain into Monday and then multiple snow chances.